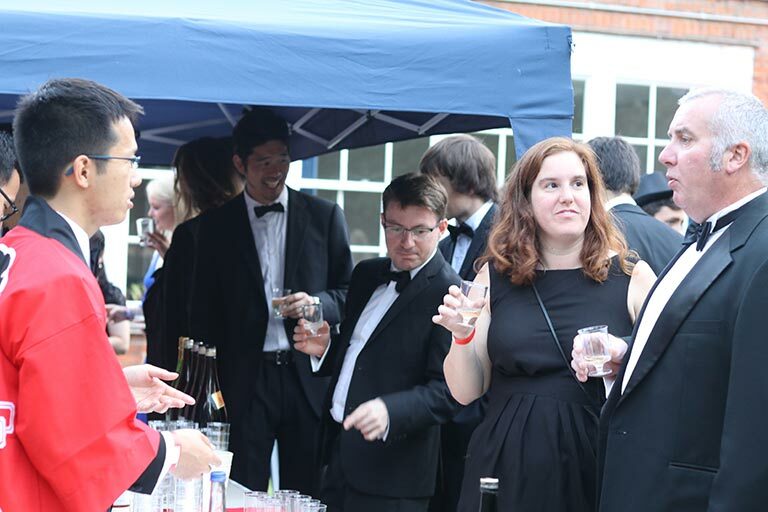 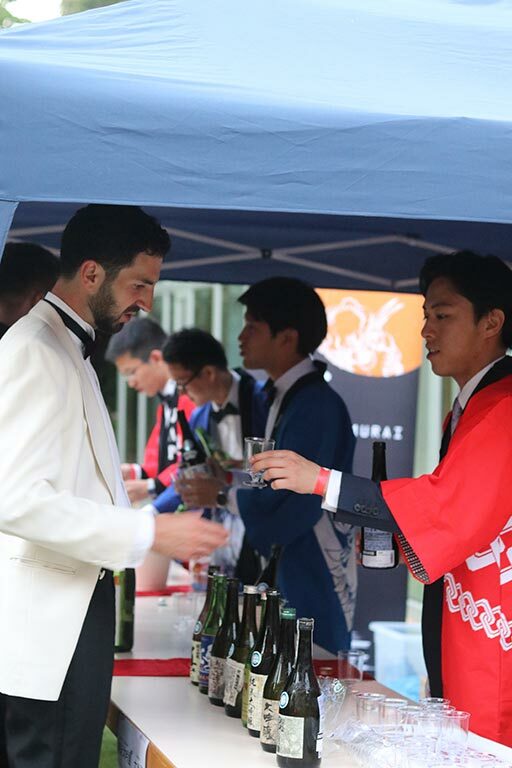 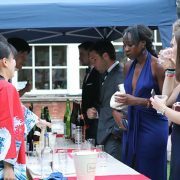 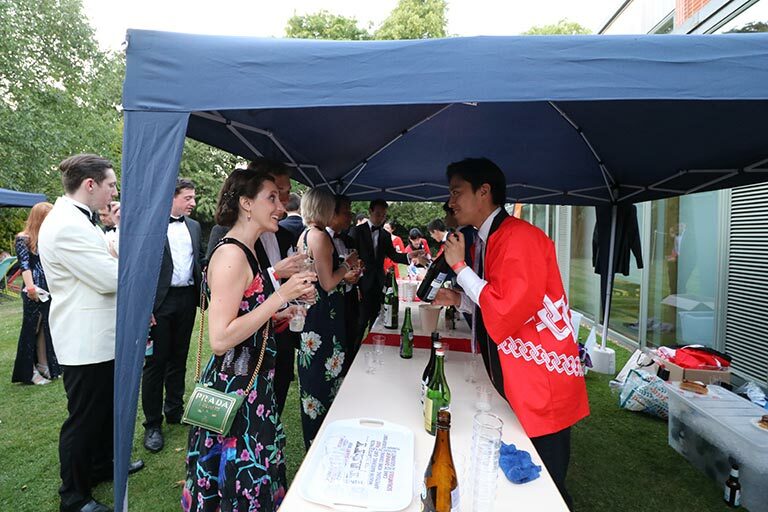 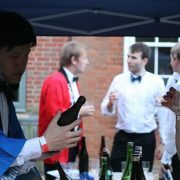 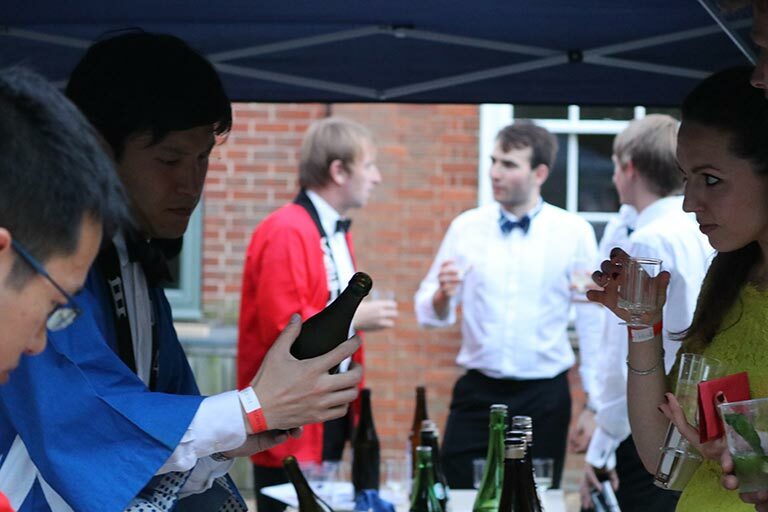 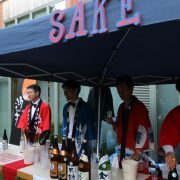 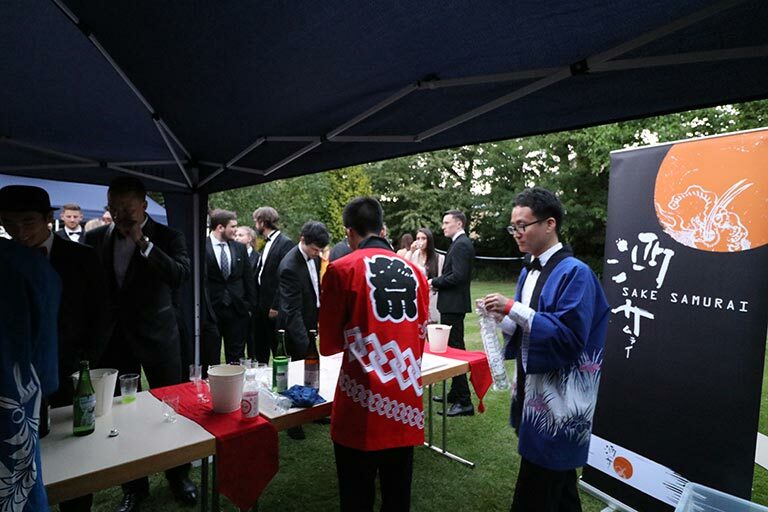 The Sake Samurai UK, administrated by Yoshitake & Associates, were delighted to return to Cambridge University to host a sake tasting at the Hughes Hall May Ball. 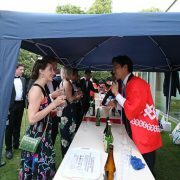 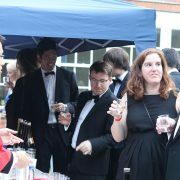 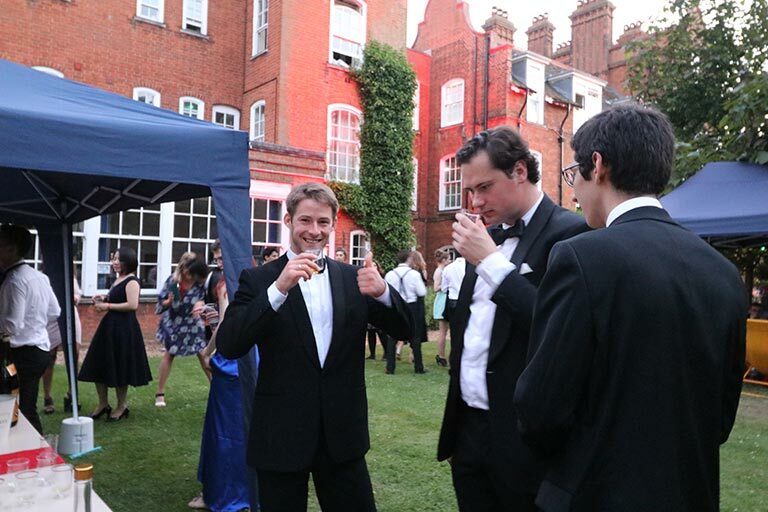 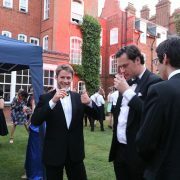 This was the first time that sake had been served in the history of May Balls at Cambridge. 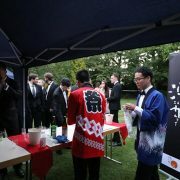 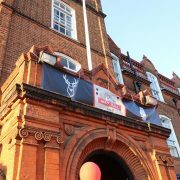 May Balls are the largest student events held annually at Cambridge and Oxford. 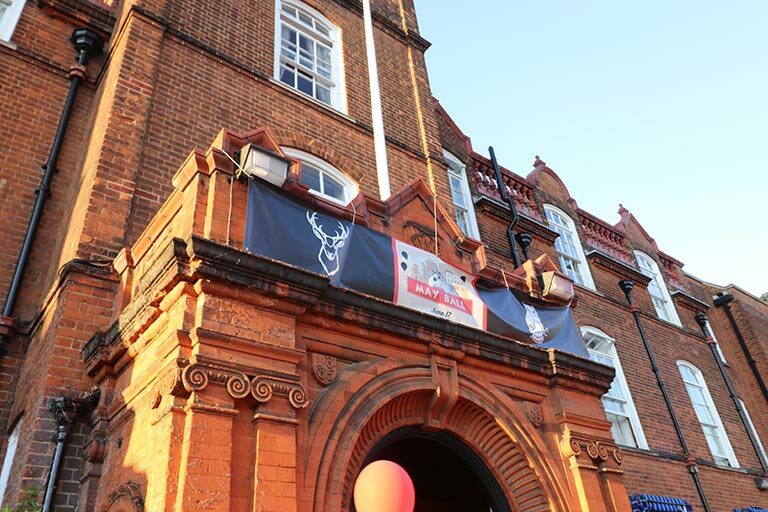 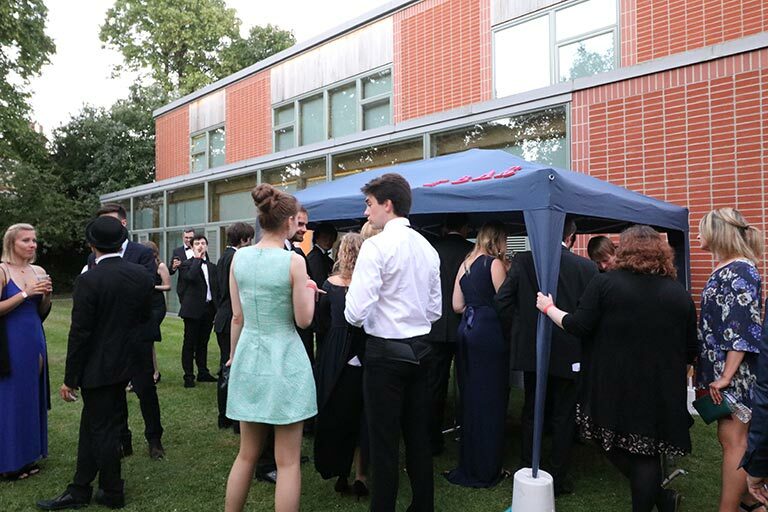 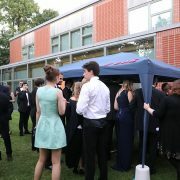 Over the course of an evening, students celebrate the end of term and examinations in beautiful evening dress with live music, dance, games, food and drink. 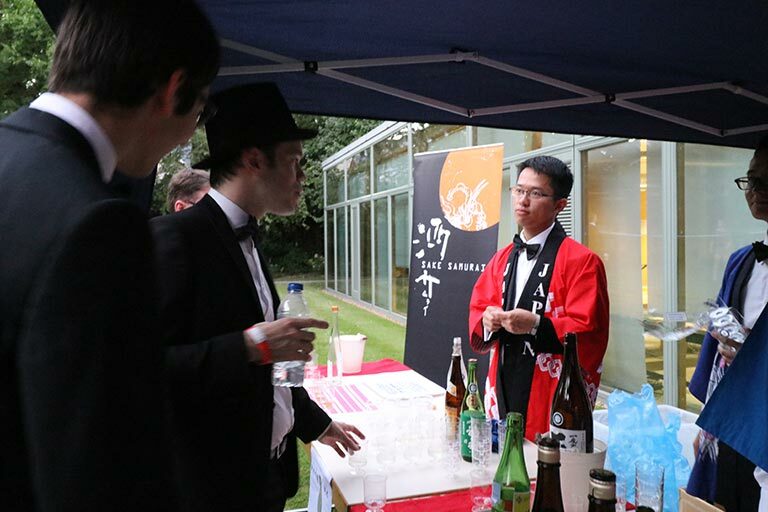 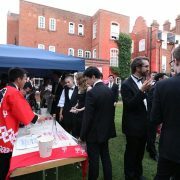 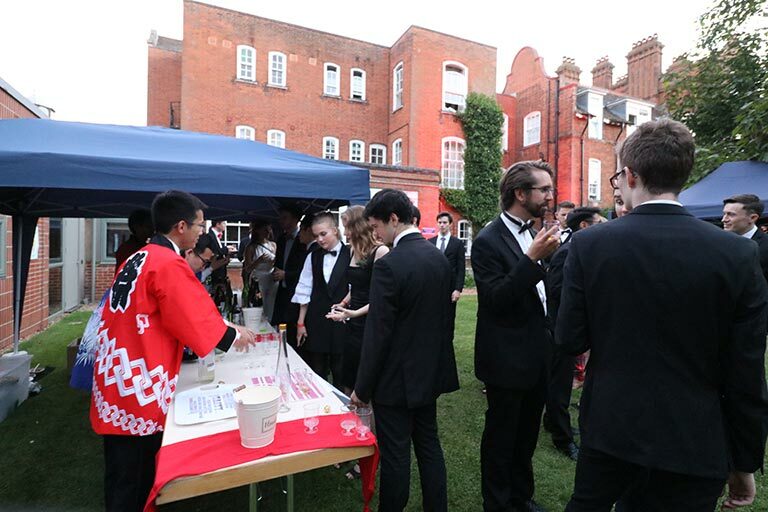 The May Ball therefore represented a unique opportunity to showcase Japanese culture to future global leaders, particularly given that Hughes Hall is one of the most international colleges at Cambridge, boasting students of over 60 nationalities. 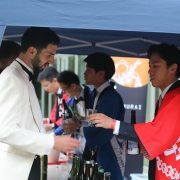 On the day, a rich variety of premium sake (Junmai Daiginjo, Daiginjo, Junmai Ginjo, Ginjo, Tokubetsu Junmai, Junmai shu, Honjozo, and Futushu) and speciality sake (Sparkling sake, Plum sake, and 10 year old sake) were served. 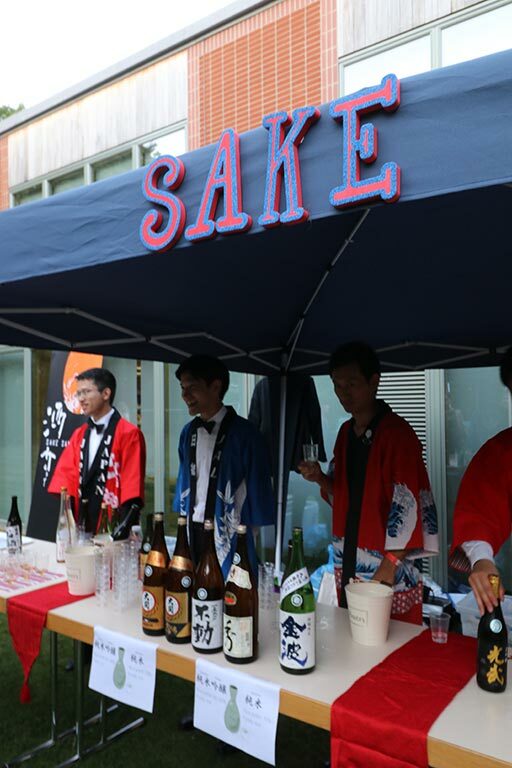 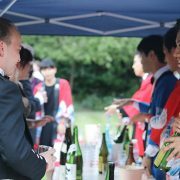 As it was a sunny day, more than 600 glasses of chilled sake were served to over 500 students. 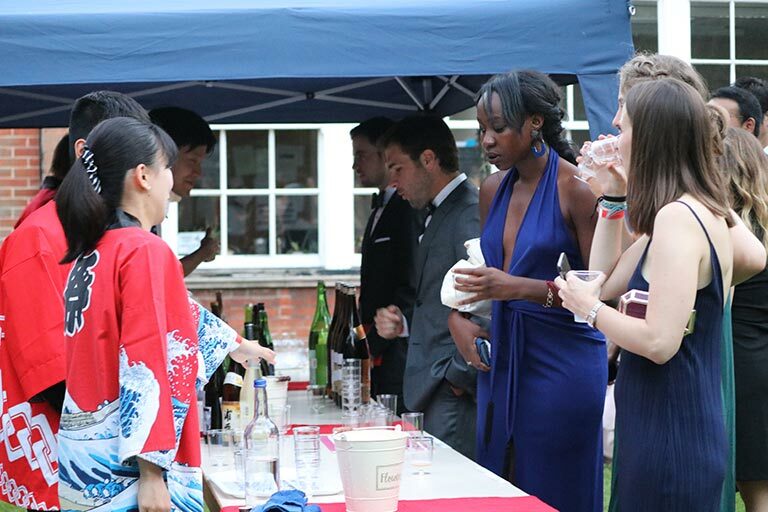 Most of them had never tasted sake before, and were surprised by the rich flavour of Japan’s national alcohol. 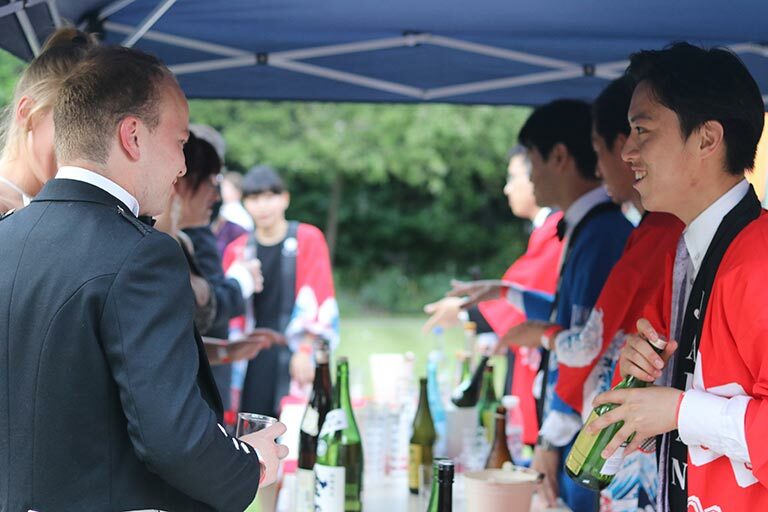 Interestingly, a large number of students came back again and again accompanied by their friends to introduce their favourites and to taste different varieties. 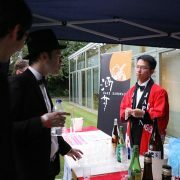 Sake Samurai UK and Hughes Hall hope to preserve the tradition that has been started this year and look forward to many years of continued partnership.